Hey, guess what? We've been married ten years today. That's a long time. We are getting close to the "been together half our lives" point. Not quite, but close. Kind of a big deal. We are doing nothing elaborate to celebrate; kind of lame I know. We spend money on "stuff" all the time, so buying more just seemed like a bad idea. And we didn't want to leave the kids for too long (Elena's just figuring out the bottle), limiting our options for hiking or camping alone. Luckily, Laura offered to watch our kids for a bit, so we are heading out for brunch buffet at the casino, alone! 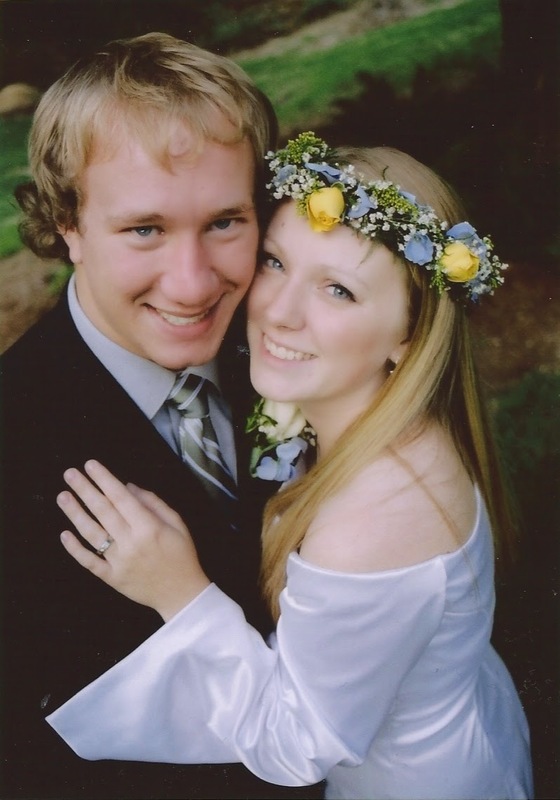 In honor of our anniversary, here's a wedding picture for you. Aren't we cute? Neither of us is perfect, but we are pretty perfect for each other. We balance each other out, making a pretty awesome team.